GPS solutions for tracking trucks and cars have existed for years by leveraging vehicle-mounted tracking devices. But what if your business makes most of its deliveries using motor scooters, or bicycles, or even by foot? How are you going to use a traditional fleet tracking solution if your business revolves around nontraditional delivery methods? IoT-enabled driver tracking solutions (sometimes called “operator tracking”) resolve these issues by shifting the focus from tracking the vehicle to tracking the person behind the wheel (or handlebars). Traditional fleet tracking systems require the purchase and installation of a 3rd party device that is connected via the OBD-II port underneath the steering wheel. This is a perfectly serviceable solution, but what happens if your vehicle doesn’t have an OBD-II port, or a steering wheel, or a motor? Additionally, if your business uses 3rd party vehicles, you may be prevented from installing any additional modifications to the vehicle. The root problem here is that conventional fleet tracking systems only track cars and trucks owned by the business, but is not a catch-all resolution for all fleet management problems. Moreover, they can cause their own problems due to their inflexibility. Driver tracking solutions exist to solve these limitations, and give companies a deeper, more versatile look at their workforce, regardless of delivery vehicle. Driver tracking solutions offer beneficial value to both delivery drivers and business owners. It has fewer constraints than a typical vehicle tracking solution, and both parties (the driver and the dispatcher) have control over the data that is being transmitted. Here are a few key advantages a driver tracking solution may offer. If a delivery driver is operating a monitored truck, and they need to walk around a city block to hand-deliver a package, the fleet monitoring solution will only display the location of the parked vehicle. This can be an issue in rural or densely populated areas, where sometimes delivery personnel may need to park their truck and carry a package to its destination by hand. With driver tracking, the dispatch center gets precise GPS data that will pinpoint the driver specifically, regardless of whether they’re in a vehicle or not. One of the biggest disadvantages of conventional fleet tracking solutions is their reliance on independent hardware that must be bought and installed somewhere in the vehicle. 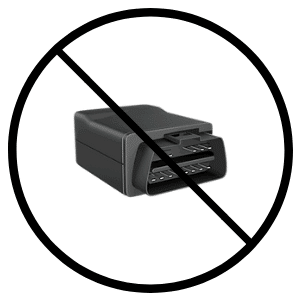 As mentioned above, while the installation is not typically a difficult or complex process, it can be a non-starter if your fleet doesn’t use vehicles with standard OBD-II ports. Driver tracking solutions can be installed onto a smart device, such as a phone or tablet. Tracking apps, such as Bridgera TrackMe, allow businesses to always know the location of their drivers, independent of vehicles and without the need for any vehicle-mounted equipment. By not requiring the use of expensive GPS devices, it’s easier than ever for businesses to track the activity of its workforce, regardless of what the method of delivery actually is. Standard fleet tracking solutions don’t give drivers much freedom over when the system is active and transmitting. In most cases, the GPS device is simply connected to the port and is left alone. But with most driver tracking systems, the service can be controlled from both ends; the dispatch hub can control the solution from the command center, and the driver can use their smartphone to activate/deactivate the solution from any location. This ability to control the flow of data gives both drivers and dispatchers the freedom to make changes at any time. A geofence is a virtual geographic boundary recognizable by GPS and RFID technology. Upon entering or exiting this boundary, a notification is sent to the owner of the software. Most driver tracking solutions have the capability to establish and configure geofence alerts, which can automatically send updates back to the dispatch center depending on when the driver arrives or departs from a specific location. This makes logging and recording delivery data easier than ever. This is just a sample of what most driver tracking solutions offer. Bridgera’s own delivery-tracking service, Bridgera TrackMe, contains all the aforementioned functionality and more, including white-label options, custom dashboards, and device provisioning. Driver tracking solutions are a versatile option for companies looking for more insight into their property and workforce. For many businessowners, an driver tracking solution is a starting point for a full-fledged fleet monitoring system. Subscribers can familiarize themselves with the tracking functionality of the system while elevating their business at the same time. It can be an ideal option for subscribers who are looking for a baseline level of tracking for their fleet or workforce. Conversely, an driver tracking solution can also be the perfect complement to a fleet tracking system that is already in use. By combining the machine-tracking power of fleet tracking with the human-monitoring power of driver tracking, businesses can get a complete perspective on their assets, both human and otherwise. 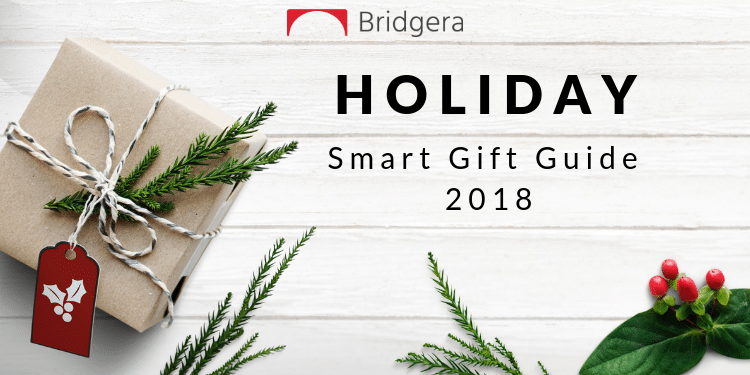 Whether you’re new to the world of GPS tracking solutions and looking for a starting point, or you’re looking to bolster an existing solution with more comprehensive tracking capabilities, Bridgera can help. Our tracking service, Bridgera TrackMe, is available as a subscription and can help companies enhance their business by making cutting-edge location monitoring technology accessible and intuitive. Powered by our own enterprise cloud platform, Bridgera IoT, built specifically to leverage the power of IoT to enhance tracking capabilities of companies across the world. Best of all, Bridgera TrackMe can be used as a white-label offering, complete with your own logo and branding. With driver tracking capabilities enabled by the Internet of Things, businessowners can be confident that their operators are getting the job done on time. Contact us today to learn more, or request a demo to see our solutions in action.